On December 8th, I made a commitment to run every day for 100 days. The minimum distance for any given run was 5 miles. Today is January 20th and I've been enjoying the challenge and benefits of being an "everyday runner" since that date. The interesting thing to me is, if you think about the entire 100 days...it can be overwhelming. I've found it calming to just work on each day at a time. 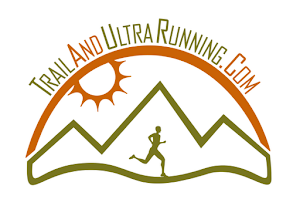 This is not unlike a 100 mile ultra....one aid station at at time. I had the opportunity to run with Ryan Lassen, Laura, and Sean. Mike has kept me informed of his continued progress via twitter. I'm trying to check in with everyone more regularly to see how they're coming along. Personally, I've really enjoyed the daily challenge of doing my run, regardless of weather. I'll admit, I have enjoyed running on my treadmill during very cold days. But, that yielded some new ideas as well. I've been running faster during my short runs and even doing sessions commonly found on the track. In all, I have had a very beneficial 5 weeks of training. The consistency has provided daily motivation to get a quality run in before work or other activities. It's funny....when you make a commitment, you can always find the time. 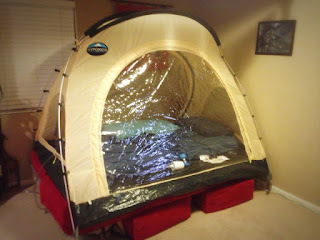 Yesterday, I felt inclined to set-up my Hypoxico tent. Lastnight, I slept deep and comfortable at about 11,000'. I don't intend to sleep in the tent every day for the rest of the year, but I truly enjoy sleeping at altitude and wake up rested and ready to rock. Wishing you an awesome January!